Bang the drum this summer. Follow the beat of a Taiko drum master during an intensive search for the soul of Japan through art and outdoor adventure. Rub your sore hands together after hours of drumming. Stretch your legs for a walk through pristine forests and towering mountain peaks. Learn centuries old rituals during an indigenous Ainu music workshop. Feel the spirit, energy and sense of community during a summer of music that connects you deeply with the people, culture and traditions of Japan. You and your Corps group explore Tokyo during an exciting introduction to Japanese life and culture. Walk the city with locals, visit Akihabara to see the latest technological marvels, taste fresh sushi and spicy noodles and learn how Taiko drums are made. Then, travel to remote Sado Island to experience the art of Taiko drumming. Between sessions with a Taiko master, train with Japanese student musicians, hike the mountainous paths and enjoy the beautiful shores of Sado as you develop an understanding for both the spiritual and physical nature of Taiko. Following your seminar, take an overnight ferry north to the island of Hokkaido to meet your new family. For the next week, practice your Japanese language skills, cook homestyle meals, learn indigenous Ainu music and meet with Japanese youth. After sharing a final performance of Taiko with your new community, explore natural beauty and cultural traditions as you travel to Iwate Prefecture. Learn about the devastating impact of the 2011 Tōhoku earthquake and tsunami, practice with a local Taiko group and perform for local children. You and your group return to Tokyo at the end of the program visiting familiar neighborhoods and discussing re-entry before the journey home. Walk the hip streets of Harajuku. Smell the incense in the centuries-old Sensoji Buddhist temple. Practice survival language skills with in-country Japanese staff members in Ueno Park. Visit one of the oldest Taiko shops in the world to see how the drums are made. Visit Nikko, a center of Shinto and Buddhist mountain worship to learn about spiritual aspects of Japanese culture, and to visit UNESCO World Cultural Heritage shrines and temples. Travel to the home of the world-renowned Kodo Drummers. Learn from a Taiko master. Perfect technique with professional Japanese drummers from the Kodo Taiko Foundation. Hike and explore mountainous Sado Island and visit traditional villages. Journey north to the island of Hokkaido. Learn traditional music and art of the Ainu. Practice Japanese language with local college students. Live with local families in a welcoming community. Make ramen noodles with your host siblings. Go to an arcade or supermarket with your new family. 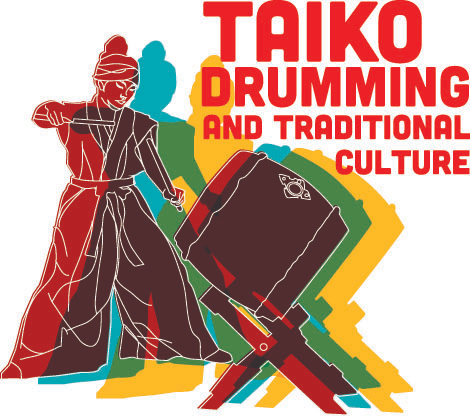 Work with local students to create a final Taiko drum and folk dance performance. Live in a rustic community center outside of Kamaishi. Practice Taiko with a local troupe. Learn about the impact of the Tōhoku earthquake of 2011 and efforts to rebuild community spirit through music. Perform Taiko and dance with children affected by the earthquake and tsunami.